Human rights were severely restricted under a state of emergency imposed in the wake of widespread political violence. Hundreds of thousands of people were reportedly arrested on suspicion of criminal activity or breaches of emergency rules. Torture continued to be widespread. Law enforcement agencies were implicated in the deaths of more than 100 people in custody, but no one was held to account for the deaths. At least six men were executed. Following weeks of violent clashes between the supporters of the main political parties, a state of emergency was declared on 11 January. Elections scheduled for 22 January were postponed until 2008. President Iajuddin Ahmed appointed a new caretaker government headed by Fakhruddin Ahmed as Chief Adviser and supported by the army, and the army was deployed with the police to maintain law and order. The new government embarked on an anti-corruption programme, and took steps towards judicial and electoral reform, but the pace of reforms was disappointingly slow. There were also widespread concerns both about the role of the army in the country’s political life and about economic problems, including a sharp rise in the cost of food and other essential goods. The government announced that it had initiated the creation of a National Human Rights Commission (NHRC). The authorities were urged by Amnesty International to ensure that the NHRC’s mandate, independence and resources would enable it to be an effective mechanism for strengthening human rights protection. More than 60,000 slum dwellers were forcibly evicted when the government demolished slums in Dhaka, and also in Chittagong and Khulna. They were given no alternative accommodation or compensation. Cyclone Sidr which hit south-western areas in mid-November caused severe devastation to over a million people’s homes and livelihoods and killed more than 3,000 people. Emergency rules restricted freedom of association and assembly, withdrew some constitutional safeguards against arbitrary arrest and gave far-reaching powers of arrest to law enforcement agencies. The ban on political meetings was partially lifted in September to allow political parties to prepare for dialogue with the Election Commission on electoral reforms. Members of parties supported by the authorities were allowed to meet with no restrictions throughout the year. Fair trial safeguards were weakened by the use of Special Courts which imposed tight restrictions on defendants’ access to lawyers, and by the denial of bail to defendants charged under emergency regulations. The security forces, including army and paramilitary units deployed under emergency rule with the police, committed human rights violations with impunity, including torture and other ill-treatment and alleged extrajudicial executions. The police force was inadequately trained and equipped and lacked effective accountability and oversight mechanisms. Army personnel accused of human rights violations remained almost entirely outside the purview of civilian judicial accountability mechanisms. Rang Lai Mro, a community leader in the Chittagong Hill Tracts, was arrested on 23 February and allegedly tortured by army personnel. He required hospital treatment for his injuries. He was charged with possession of arms and reportedly sentenced to 10 years’ imprisonment. In October he was reportedly taken back into police custody, beaten again, and once more needed hospital treatment. There was no reported investigation into the torture allegations. Sahebullah was reportedly detained on 16 May by Rapid Action Battalion (RAB) personnel and tortured in the office of the director of the RajshahiMedicalCollegeHospital. Both his legs were reportedly broken. He was arrested after demanding that a doctor attend to his wife, who had not been treated for 12 hours. She died the next day. Law enforcement agencies were implicated in the deaths of more than 100 people in custody. No action was apparently taken to bring those responsible to justice. Khabirul Islam Dulal, from CharFashionMunicipality in Bohla district, was arrested by navy personnel on 20 February. He was reportedly beaten, thrown in a pond with his hands tied with rope, and beaten again. He died that evening. Garo indigenous leader Cholesh Richil died on 18 May while in the custody of Joint Forces (army and police) personnel. There were strong indications that he died under torture. Three other members of the Garo community – Tohin Hadima, Piren Simsung and Protap Jambila – were arrested at the same time and reportedly tortured. The government set up a judicial inquiry into Cholesh Richil’s death, but there was no news about it by the year’s end. According to media reports, officials stated that over 440,000 people were arrested on various grounds during the year. Many detainees were detained arbitrarily, initially held under emergency rules, then served with a detention order under the 1974 Special Powers Act (SPA). Some were then charged with politically motivated criminal offences. Some people held under emergency rules were accused of “extortion” or other criminal activity. Detainees included over 160 politicians from the main political parties, as well as some wealthy business people. A number of detainees held without trial under emergency regulations or the SPA were reportedly tortured or ill-treated. Shahidul Islam, a human rights activist, was charged with murder on the basis of a “confession” by another detainee, Badrul, in February. This charge blocked the release of Shahidul Islam when his detention order under the SPA expired in late February. Badrul retracted his original statement in court, saying he had been forced to make it by police. However, the charge against Shahidul Islam was not dropped and he was reportedly tortured in detention before being released on bail in late August. Following clashes in August between law enforcement agencies and students in Dhaka and Rajshahi demanding an end to the state of emergency, 10 university lecturers from Dhaka and Rajshahi universities were detained. They were prisoners of conscience. Dozens of students were also arrested, accused of involvement in clashes. The six RajshahiUniversity lecturers were released in December but the four DhakaUniversity lecturers remained in detention. Although wide-ranging emergency restrictions on the news media were not strictly enforced, their continued existence intensified self-censorship by journalists and editors. Journalists were threatened with arrest if they criticized intelligence agencies or the army. Arifur Rahman, a cartoonist, was arrested on 17 September over a cartoon that used the name of the prophet Muhammad, following threats by Islamist groups. He was charged with “hurting religious sentiments” and was a prisoner of conscience. A 30-day detention order was issued against him under the SPA and extended for a further three months. As in previous years, human rights defenders were subjected to arbitrary detention and torture. Lawyers were allegedly threatened with arrest on corruption charges if they took up high-profile cases. Prisoner of conscience Tasneem Khalil, a journalist who worked with the Daily Star newspaper, CNN and Human Rights Watch, was detained on 11 May and reportedly tortured because he had supplied information on human rights violations. Prisoner of conscience Jahangir Alam Akash, journalist and local head of two human rights organizations, was arrested on 24 October by RAB agents in the north-western city of Rajshahi. He was reportedly given electric shocks, was beaten on the soles of his feet with a stick, and was hung from the ceiling with his hands tied. He was transferred to the Rajshahi Jail hospital with multiple injuries. His detention followed his television news report in May about the shooting of an unarmed man by RAB agents. He was charged with extortion, a charge widely believed to be false and politically motivated, and held in detention for over a month before being released on bail. The government took steps to implement the Supreme Court’s 1999 ruling requiring separation of the judiciary from the executive, including amendments to relevant laws. On 1 November the new system came into effect. However, reports indicated that executive magistrates would retain some judicial powers. Demands gathered momentum during the year for the investigation of war crimes, crimes against humanity and other serious violations of human rights and humanitarian law committed in 1971. However, as in the past, no action was taken by the government to implement the 1973 International Crimes (Tribunals) Act and no official commission was ever established to provide a comprehensive account of the events of 1971, to determine responsibilities and to make recommendations for reparation for the victims. Violence against women continued to be reported, including beatings, acid attacks and dowry deaths. In Kushtia district, in the month of June alone, police and hospital records reportedly revealed that at least 19 women committed suicide and 65 more attempted suicide because of violence by their husbands or family members. At least 90 men and three women were sentenced to death, and at least six men were executed. 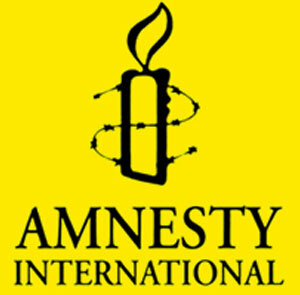 An Amnesty International delegation visited Dhaka, Jessore and Khulna in March to assess the impact of the state of emergency on the human rights situation.